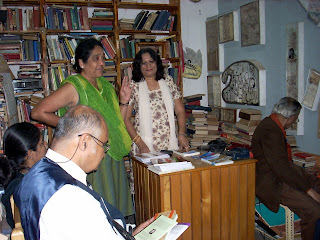 Kolar Gold Fields - NOSTALGIA: KOLAR GOLD FIELDS DOWN ME ORY LANE - Book Reading Session held at the Select Book Shop, Brigade Road, Bangalore on 8th October 2011. 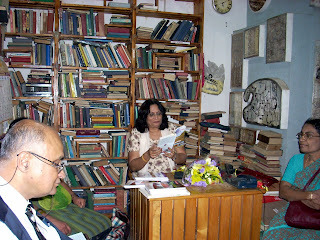 KOLAR GOLD FIELDS DOWN ME ORY LANE - Book Reading Session held at the Select Book Shop, Brigade Road, Bangalore on 8th October 2011. The Book Reading Session on my book KOLAR GOLD FIELDS DOWN MEMORY LANE organized at the Select Book Store Bangalore was a very pleasant and nostalgic occasion. I would like to first of all extend my sincere thanks to Mr. Murthy and his son Mr. Sanjay for organizing and hosting this wonderful session. The ambience and décor of the Select Book Shop really added to the nostalgia of the session. Thanks also to Suma whose, introductory speech set the trend for the session. My Special thanks to Navin Thomas who arranged this meeting with Mr. Murthy in the first place. I was happy to see my old friends Tony Lobo and Bernard Manuel who shared a lot of their memories of KGF with the other guests present on the occasion . Bernard spoke of his grand dad who owned the Lazarus Bakery in KGF in the olden days and was very famous with the British and Anglo-Indian population of KGF and of his dear dad Jossy Manuel who was also famous for his delicious cakes and pastries. Mr Jossy Manuel would even oblige people by coming to their homes and baking their Christmas cakes and puddings for them!!!. 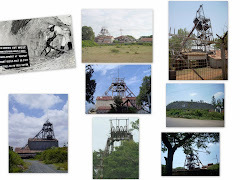 Mr. Niranjan Murthy and Mr. K R Krishna Murthy, two very senior Engineers of the mines who were contemporaries of my dad Sydney White shared a lot of valuable information and their experiences of working in KGF with us. It was great having them at the Session. 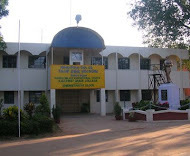 Mr. Elangovan, a practicing lawyer in Bangalore and an ex-student of KGF School reminisced about KGF School and especially of the teachers and head masters who were responsible for instilling sterling values in him. He made special mention of my aunts Miss White and Mrs. Morris and also of Mrs. Godfrey and Mr. Dudley Pinto and recalled fond memories of his school days. Wing Commander ‘Kojak’ Bhat who incidentally never lived in KGF but has visited KGF many times also shared a lot of information with the crowd. Rohit Fernandes who never ever went to KGF but was fascinated by my book attended the session with his parents who listened spell bound to the discussions and interactions. Thanks Rohit. All in all it was a lovely homely, interactive and nostalgic session and I would like to thank everyone who attended it for their love and affection shown to me. 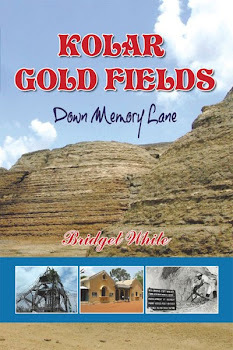 Their strong emotional attachment to KGF was evident in their memories.